The Shanghai Cooperation Organisation summit, 2017, held from 8-9 June in Astana, the capital of Kazakhstan. 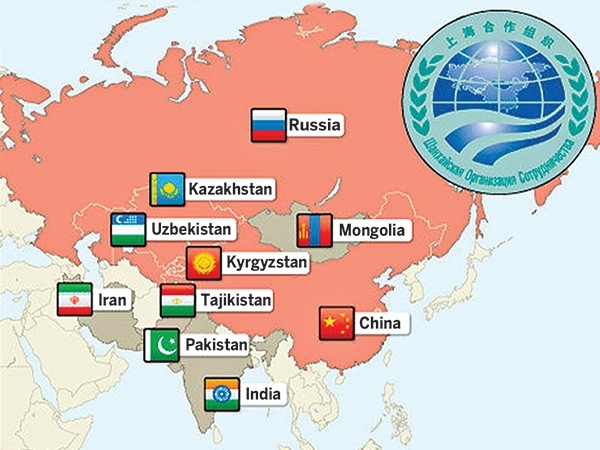 The group, which was founded in 2001 in Shanghai comprises China, Kazakhstan, Kyrgyzstan, Russia, Tajikistan and Uzbekistan as full members. Afghanistan, Belarus, India, Iran, Mongolia and Pakistan have an observer status.This summit is particularly important for India and Pakistan because they will be formally admitted into the group. The SCO was founded with the aim to strengthen relations among member states and promote cooperation in political affairs, economics and trade. With the inclusion of the two countries, SCO will become a regional organisation with the largest coverage involving the biggest population.